A large monolith, facing N-S, of irregular shape and much weathered on both faces. It is 15'6" high approx., 5'6" wide at base and 7' wide across the north side at 5' above ground. The thickness varies from 7 1/2" at base to 14" at the middle. The top is very irregular. 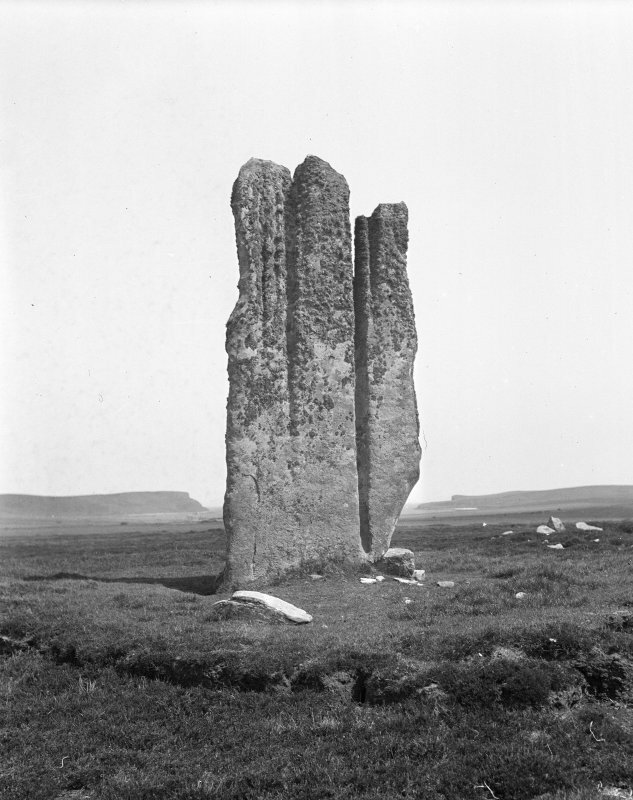 'Stone of Setter'as described by the RCAHMS. 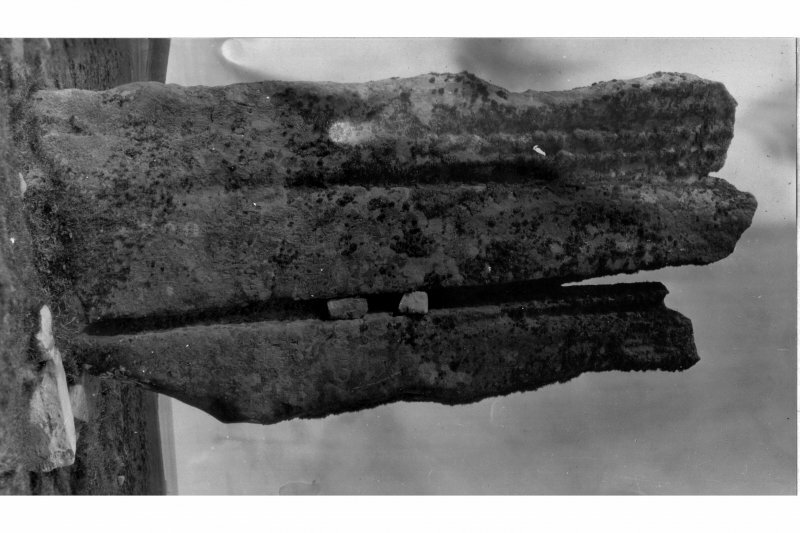 Visited by OS (NKB) 24 July 1970.
it a precarious appearance, the stone does not seem to be in immediate danger of splitting. RCAHMS 1984, visited September 1983. Information from Orkney SMR (RGL) Sep 83. Weathering has so furrowed this monolith as to give it a most formidably ancient appearance, enhancing its height (4.5m) and dominating position overlooking several chambered tombs and Calf Sound to the north (see Eday excursion) . Its careful location makes clear the intention of those who set it up that it should become a focal point in the is land landscape as viewed from the north and perhaps even from the sea, whence it has certainly taken on the status of a familiar landmark. This standing stone is situated in a prominent location on the saddle between Mill Loch to the SSW and the Bay of Carrick to the NNE. 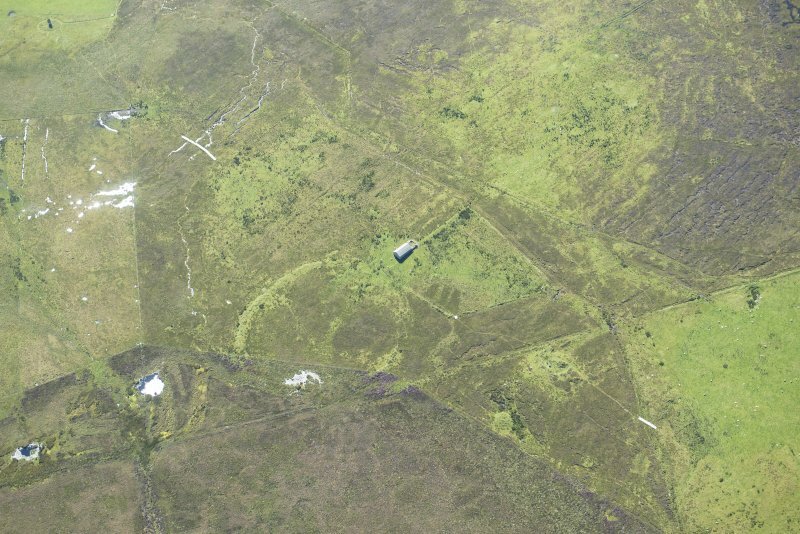 Its broad faces are orientated in the same directions and it makes for a conspicuous landmark being roughly rectangular in outline and measuring 4.5m high, up to 2.13m broad and 0.55m thick. The surface of the stone is heavily weathered and thickly encrusted with lichen, but a small patch of graffiti is visible on its NNE face, while the deepest of the natural water-worn fissures eroded in the soft sandstone running from the summit to the stone’s base measures up to 0.25m deep. The ground at its foot has been scoured in a SSW to E arc and this has revealed two firmly set boulders serving as packing stones. 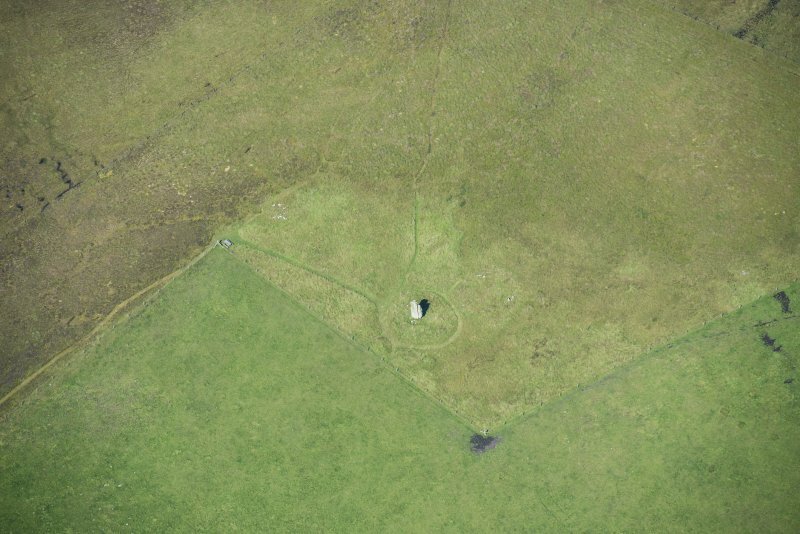 A stack stand situated immediately to its NNE measures 5m in diameter over a platform of tightly fitting, grass-grown boulders 0.25m high. Rabbits have badly disturbed its perimeter on the NW to NE arc. 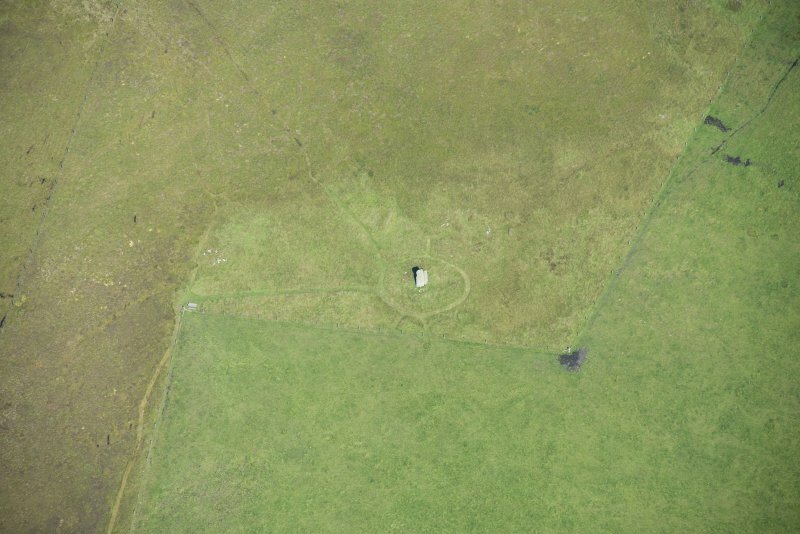 It has a companion a few meters to the NE which overlies the SW arc of a neighbouring enclosure (HY53NE 10). Visited by RCAHMS (ATW) 8 May 2013.